The above video of the eruption is a compilation of 3 videos from Instagram video1, video2, video3. 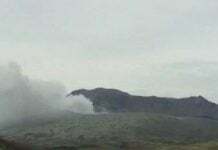 Krakatau eruption on September 16, 2018. 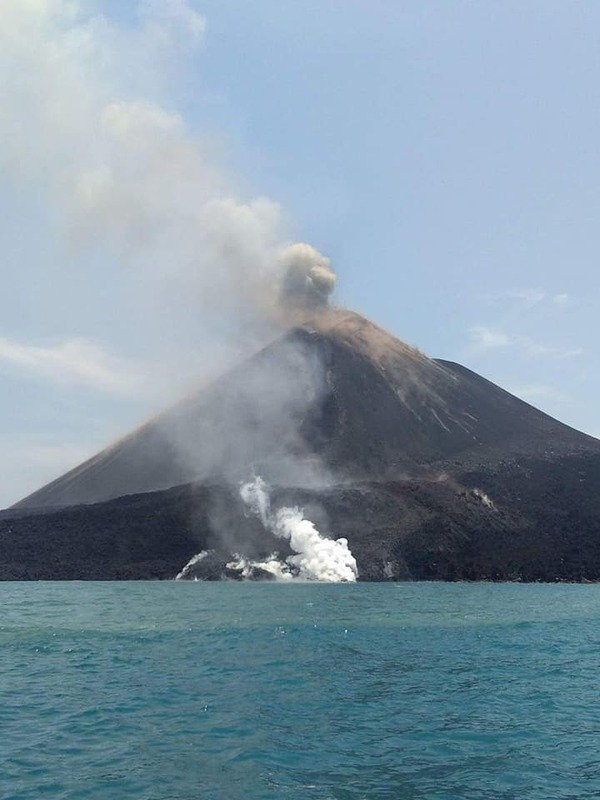 Krakatoa is a volcanic island situated in the Sunda Strait between the islands of Java and Sumatra in the Indonesian province of Lampung. The name is also used for the surrounding island group comprising the remnants of a much larger island of three volcanic peaks which was obliterated in a cataclysmic 1883 eruption. 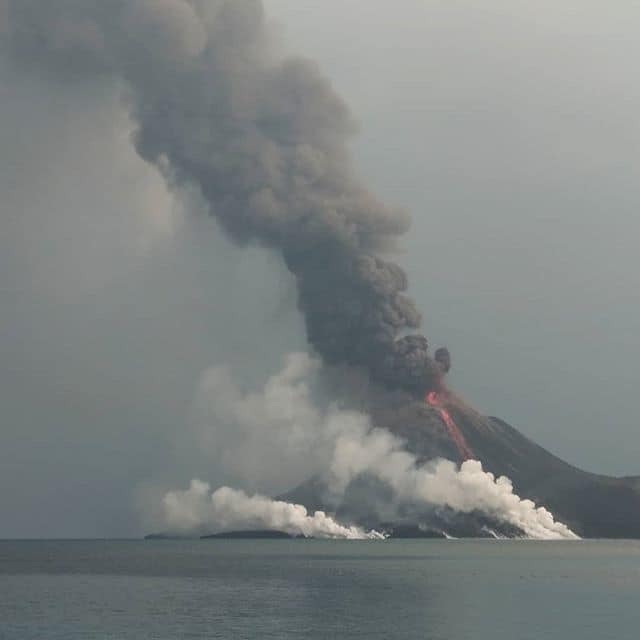 In 1927, a new island, Anak Krakatau, or “Child of Krakatoa”, emerged from the caldera formed in 1883 and is the current location of eruptive activity. Get out of your church now! Your money, 10 % of your income giving to your church make you into great troubles because you are paying that money to DEMONIC entities. Stop going to a church, and enjoy Sunday for yourself and your family. Spend that 10% of income for yourself and your family. Do not support Demonic entities, called churches. At 3:28 on the video above, you can see the painting explaining how cannibal Reptilians extracted human intestine in order to make human sausages. Those cannibal Reptilians are operating all churches in the world. Stop giving money to those Demonic entities, called churches. Otherwise, your karma keep accumulating, and those accumulated karma is preventing you to evolve and ascend. A church was burnt down! In the end, all the churches are going to be demolished. Reptilian Police Chief in Philippines can been seen starting at 1:40. You can see his Reptilian slits (vertical pupil). Slow down the video (If you go Youtube through Google, there is a function button right bottom.) in order to observe his shape-shift. Mining town, Berezniki in the Ural Mountains in Russia are swallowed by sinkholes and sinking. I know many of reptilian readers have been quite offended by my comments. More than 15% of the Earth population are reptilians/ hybrids. But I cannot avoid the topic of Reptilians who are controlling whole system on this planet. I want to disclose your existence and tactics. Just disguising as human by wearing human hologram in order to trick innocent human is not a good thing. I tell you that now is the time to liberate human from Reptilian control. If you are keep offended by my comments, that is your problem. Do you know what “Naga” is? Naga is the Serpent Race = Reptilians. So this landslide happened at the (underground) city of Reptilians where has a limestone quarry site = Reptilian Secret Underground Base entrance/construction site. 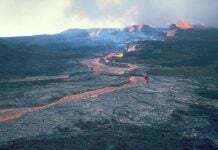 This means that Galactic Federation of Light cleansed their underground base/city; therefore, their underground base/city collapsed that caused this landslide. Was this kind of weapon from Galactic Federation of Light in order to attack their underground base? Or their secret underground base had been cleaned up by super high heat that caused the frame shot up from this hole? Probably the latter makes more sense because Galactic Federation of Light weapon is really precise, and they do not miss their target. Believe or not, the “Star Wars” are going on silently between GFL and Illuminati Dark Force (Reptilian Force) on our planet. There are a huge quarry and airport. You can tell this is a kind of city of “Naga” = Reptilians. I am a descendent of a serpent race. Look at him! He looks everyday people. More than 15% of the Earth population is Reptilian race. Your neighbors, your boss, your doctors and dentists, your teachers, people working in any government…might be a Reptilian. They are not racist. They are speciest to treat human as their cattle. I am a draco as you u can see .IAm proud to be who I am. This means she is a Draco woman with a prehensile tail who can shapeshift to human. This means her targeted readers are also Draco Reptilians. Look at Intellicast Radar, right now! 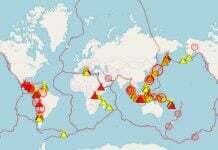 Look at Europe covered by strange anomaly. Military computer system has been down? Now military officers have to use pen and paper to record time at sea. Whole military and spy agency computer system has been down including CIA?? ?